Join, a water flower on land whose petals currents open. Take turns as holder, held, and guide whose support helps holder keep his eyes closed as all three enter the Ocean Within. Join as a lotus on a still pond where the light opens the petals. When celebrations engage our whole body our whole being everything is in the union we celebrate. Any team of three can announce a gathering in a park. If enough show up they can lead them through the Flower Round. If not. the three can explore how much deeper they can get into their own Round or the Tantsuyoga by Two. When they open their eyes they may be surrounded by other Rounds, each in their own stage of flowering, or not. Whatever is around them, people come to watch, passerbys, the trees, the sky, or is not, are all in the union they celebrate. Help bring these celebrations into parks, homes, schools and studios around the world. 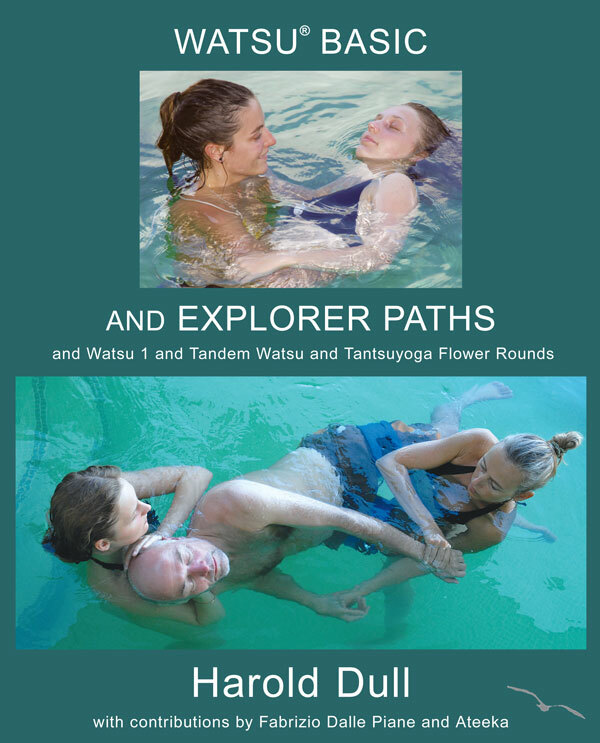 Besides introducing the Ocean in the Flower Round in our classes we developed a Tantsuyoga by Two. The containment and the oceanic movement introduced while holding someone on their first side with a guide behind moving as water, reaches a new level on the second side, with one holder under the head and the other at the hip, breathing, pressing, pulling, stretching and sending waves up the back as one, the greater their spontaneous synchronicity, the more profound the containment. Learning the Tantsuyoga by Two in our classes can start you on a path towards a Tantsuyoga Presentership, where contributions for your Tantsyoga by Two sessions will help support regularly offering the Flower Round to the public which will bring more to your sessions and help us in our goal of making unconditional holding available to everybody.